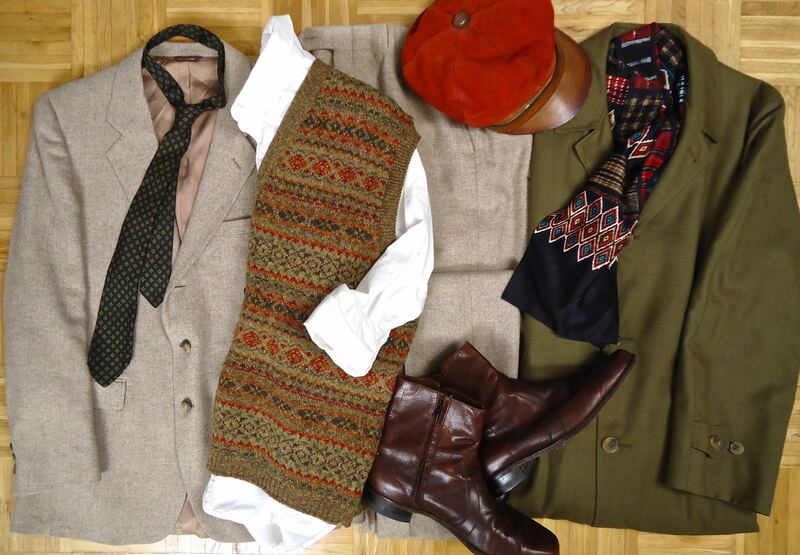 Top—Vintage two-piece tweed suit with 3-2 roll front (from Jack Bell of Philadelphia); 1960s unlined silk foulard necktie from the Harvard Coop Society; L.L.Bean Fair Isle wool sweater vest; 1970s leather & suede cap; vintage Florsheim Chelsea boot; repp silk scarf in black pattern; vintage Par-Temp trench in green/brown micro-houndstooth pattern. 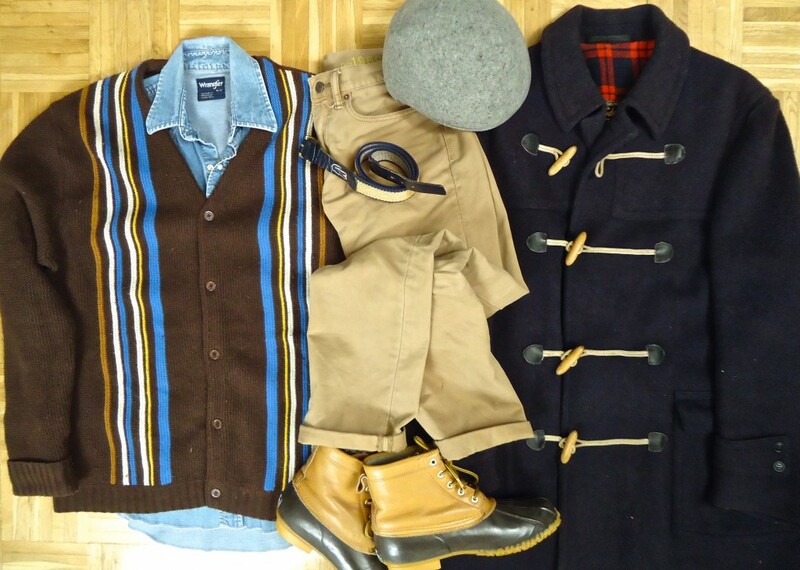 Bottom—Paul Stuart striped cardigan; vintage Wrangler denim shirt; GAP slim-fit cords; vintage Lodenfrey navy wool toggle coat; Pendleton wool felt ascot cap; vintage Lacoste belt; L.L.Bean duck boots. Copyright © 2019 Company Man. All rights reserved.